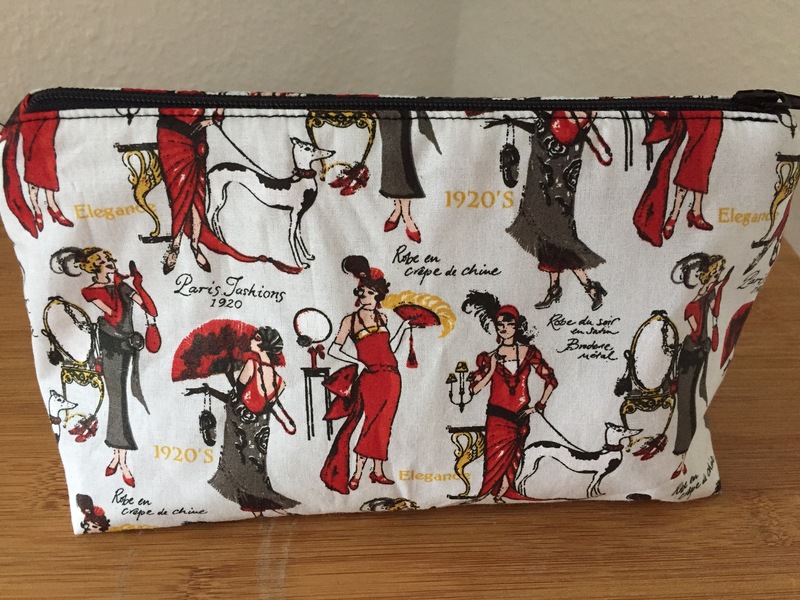 I have a bit of an obsession with make up bags, and when I started to sew, I was really keen to tackle making one. 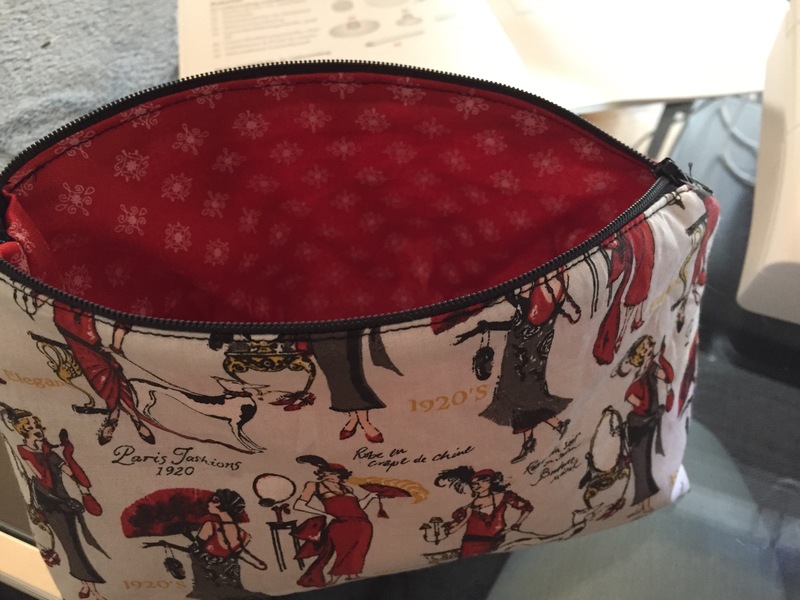 I stumbled across the free Sew Sew Easy Cosmetic Bag Pattern and I really liked the shape and size, so decided I had to give it a go. What made it really easy and a great confidence builder was the handy YouTube video tutorial. It really helped me with the zip insertion and top stitching and now I feel pretty good about zips. I also particularly enjoy the part when Debby’s cat shows up to help! Since then I have made no less than 5 of these handy little bags, and I still find it really satisfying. Now I’ve had a bit of practice it probably takes me about 90 minutes to make one, so they are a fun quick sew. 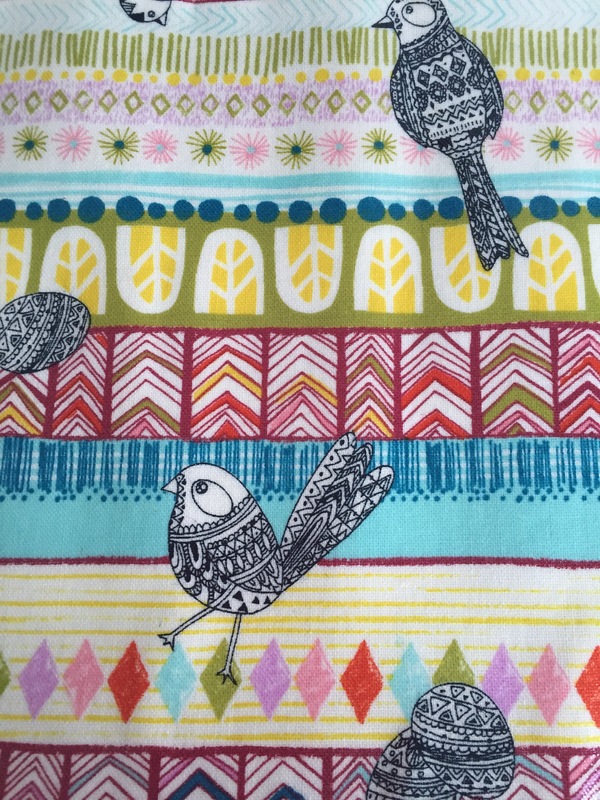 It’s also a great pattern for fat quarters that you really want to use and they make great gifts! I love the contrast lining which I think is really in-keeping with the vintage French lady luxury theme! Earlier this year at the Dutch Fabric Market (blog post coming soon!) 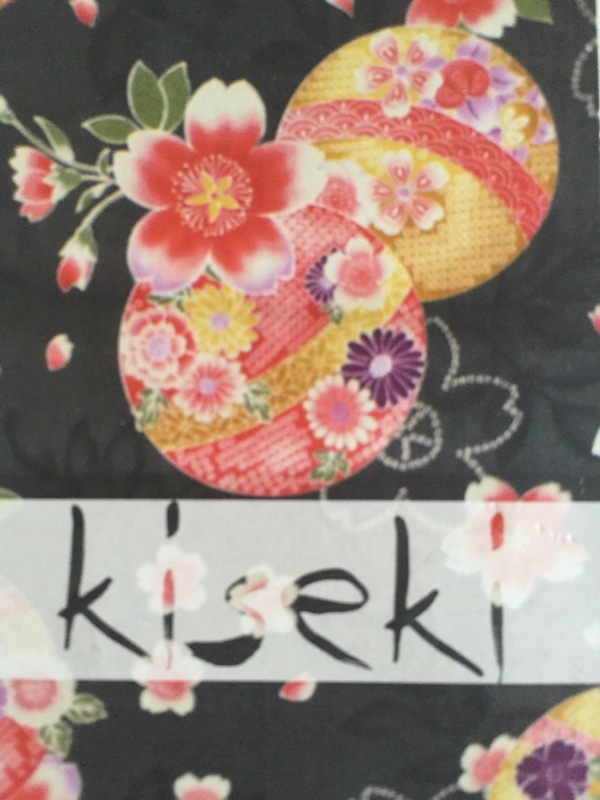 I discovered this great fabric company, Kiseki. They make and sell the most beautiful fabrics from Japan, and I love their laminated versions. 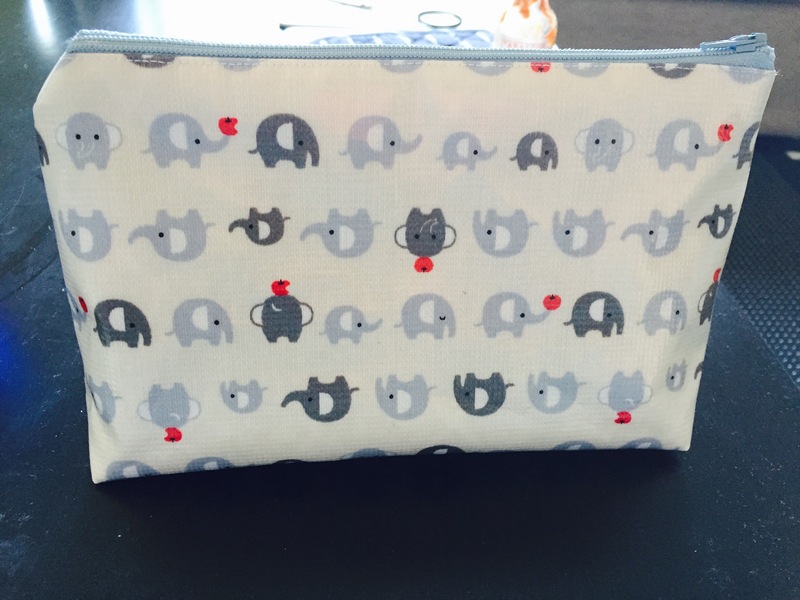 They are absolutely perfect for make up bags and come in the cutest prints. 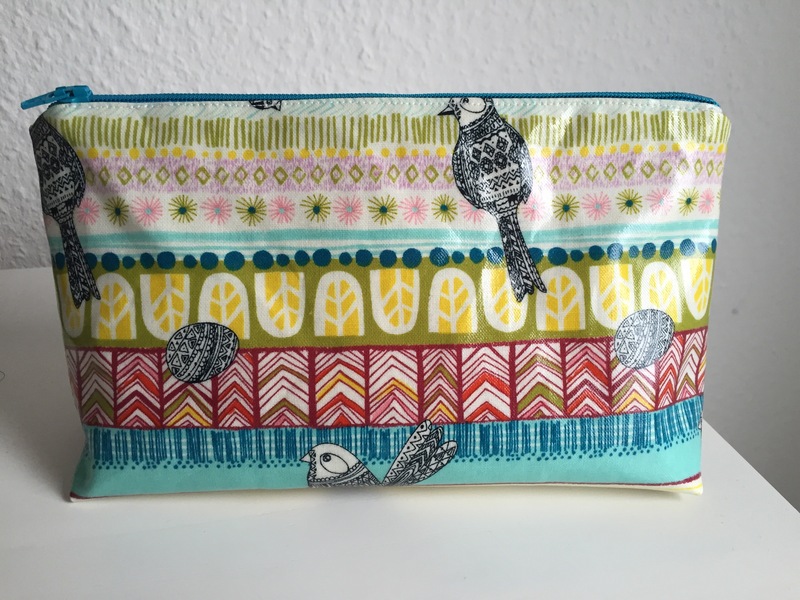 A friend of mine fell in love with this gorgeous bird print whilst we were at the market, so I decided it had to become a make up bag for her birthday. Here’s the finished bag in all its glory! I lined the bag with some dark green cotton, which I thought was a nice contrast to the outer fabric, whilst still being in-keeping with the zip colour. I also know that my friend is a big fan of teal blue and green, so it had to be a winner! I also really loved this elephant print … so couldn’t resist making one up for myself! I lined it with some grey star print cotton I had left over and I absolutely love it. I use it every day and it makes me smile when I am putting on my make up in the morning! So that’s my round up of my favourite make up bag makes! Have you tried Debby’s Sew Sew easy pattern? I’d love to see what you’ve made. 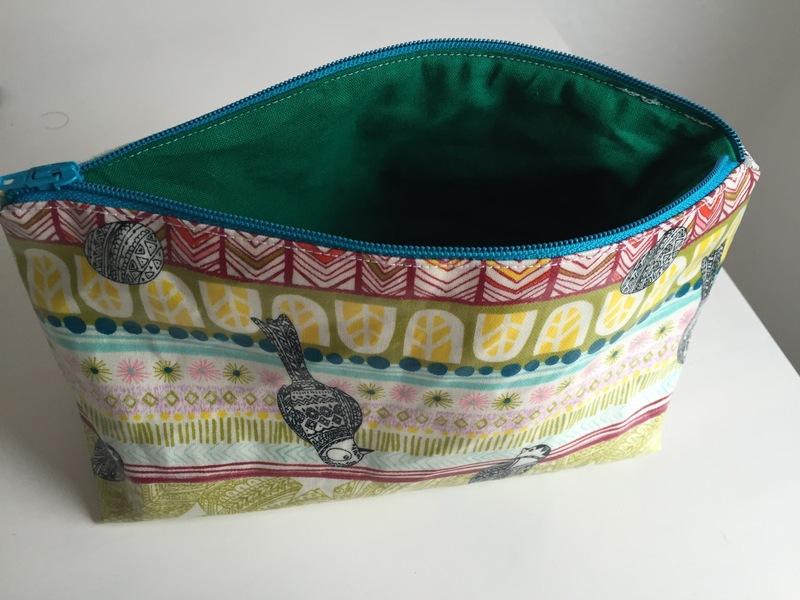 Do you have any other great free zipper pouch patterns to add to my list? I’m keen to make zipper pouches in all shapes and sizes!